Game participants get two attempts to throw a large whiffle ball to bounce it off of the game board into a large wicker basket. 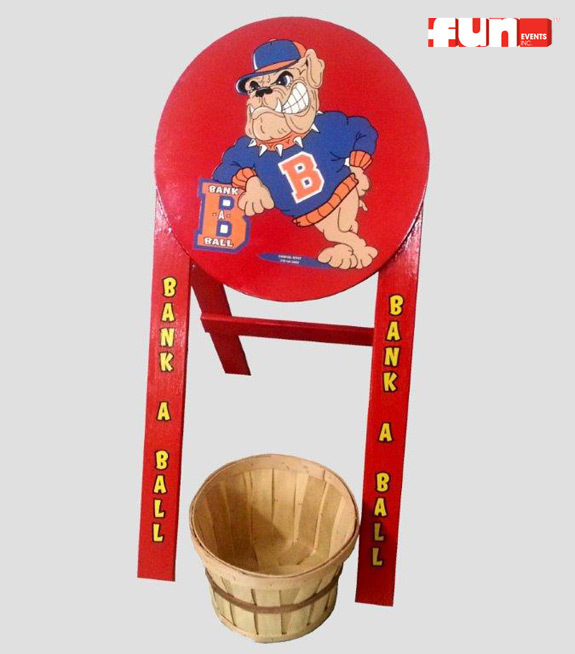 Bounce the ball with the proper amount of strength and force so it banks into the basket. You may move the basket further away from the game board to make it slightly easier to win. Even though this game appears simple to win, it may not be as easy as it looks!